Welcome one, welcome all, to the Bioscope Festival of Lost Films! Over the next five days we will be bringing to you five feature films (with accompanying shorts), selected from around the world, each a silent film now considered lost, untraceable in any of the world’s film archives or private collections. We are opening with War Brides, Herbert Brenon’s pacifist masterpiece. Our venue is the Theatre de Luxe, in London’s The Strand. This select venue, star of the Electric Theatre circuit, lies adjacent to the Tivoli theatre (itself now no more) and seats 170 in the finest comfort. You will have noticed the luxuries of the foyer, and the special feature of a writing room, with complimentary notepaper, postcards and envelopes at the disposal of patrons. In such a modestly-sized venue, we must have musical accompaniment to match, so we are delighted to welcome as pianist Mr W. Tyacke George, author of that estimable and essential work for the aspiring silent film accompanist, Playing to Pictures (1914), who should certainly know what he is doing. We are living in a time of war. We are always living in a time of war. The conflict in this case is the Great War, and while at the time of this film’s release Britain has been part of the fighting for two years, the United States has followed President Woodrow Wilson’s policy of neutrality. The British and the Germans have each plied the arts of propaganda to gain American sympathies, and the British have hopes that America will eventually side with it militarily. Some in America are thinking this way, and their call is for ‘preparedness’ should the need to fight arise. Others are appalled by the European folly, and speak out against war in all it forms. Already in 1916 American producers have given us Intolerance and Civilization, and now at the end of the year comes the most acclaimed film the year, and the strongest plea against war that we have yet seen on the screen, War Brides. 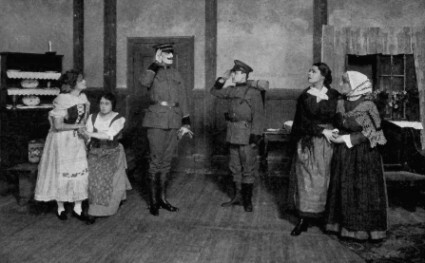 It has its basis in a one-act play, of the same title, written by Marion Craig Wentworth, which was such a success in the American theatres in 1915. Its star was that extraordinary Russian actress Alla Nazimova, who has been performing in America since 1905, excelling in Chekhov and Ibsen. Such was the sensation created by War Brides on the stage that producer Lewis J. Selznick persuaded Nazimova (she prefers to be known), for the handsome fee of $1,000 a day, to make her screen debut based on the stage success. As is the case with many anti-war tales, the setting is an unidentified country which could be anywhere. Four brothers are called up to join a war. They leave behind their mother, sister and the wife of one of them (Joan, the Nazimova character). All four are killed. Joan tries to kills herself, but it persuaded not to do so because of her unborn child. Then the government decrees that all unmarried women must be compelled to marry returning soldiers to ensure a new generation of manpower for the war. Joan leads a protest movement of women against the decree, escaping from imprisonment to confront the king. On being told by him that war never ends, she kills herself and her unborn child. This is an undeniably powerful theme. Nazimova proves herself as a great a tragic actress on the screen as she is known to be on the stage, managing both to be a symbol and a person at the same time. 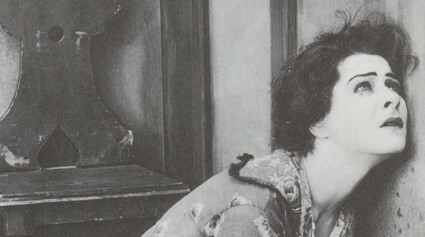 Gertrude Berkeley, as the mother, joins her from the stage production, as does Charles Bryant, playing one of the sons, who happens to be Nazimova’s husband. Among the actors playing the other sons, we are advised to look out for one Richard Barthelmess, whose first picture this is. A great future is predicted for him. The director is that talented Irishman Herbert Brenon. We have all admired his previous works, among them Dr Jekyll and Mr Hyde, Ivanhoe, Neptune’s Daughter and Sin, but Mr Brenon calls this his greatest work. Interestingly, we hear rumours that there are those within the British political establishment that agree with him. Can it be true that this producer of an anti-war masterpiece could be persuaded by the British War Office to produce a propagandist epic in favour of the British war effort? We shall await any such developments with the greatest interest. Critics have been almost unanimous in their praise of War Brides. Few pictures in recent years have received such general acclaim. Yet there have been some adverse comments. The New York Times, while full of praise for Nazimova, who it says, ‘is a good subject for motion photography … she knows how to express herself in terms of the film’, was less enamoured of the film’s attempts to expand itself beyond the stage original. The first half … in some respects is very bad indeed. It is palpably padded to make a holiday movie, some of the padding consisting of typical movie comedy, and is unnecessarily jerky and artificial. With such pictures as those of the battle of the Somme on view there should be a law against photoplay directors photographing sham martial scenes, or else to force them to make them depict scenes approximating reality. A bogus battle scene is included in “War Brides,” in which the defensive army occupies a system of trenches which rise from the foreground up and up into the background. All that an attacking army would have to do creep up to the edge of the top trenches and roll bombs down upon the helpless enemy, while if those in the trenches wishes to assume the offensive they would have to scale heights as high as the Palisades. It is as curious to see a newspaper dramatic critic advise us on military strategy as it is to see a Hollywood studio attempt to depict it. As it is, the critic should perhaps read something of the futile Italian military campaign of the war, attempting to attack Austrian troops by scaling mountains while their enemy is securely positioned above them, before dismissing War Brides’ own illustration of military madness. However, it is telling that the critic compares its attempt to portray reality with the actual scenes of conflict in the remarkable films taken by British official cameramen of the battle of the Somme. It is difficult for the dramatic film to compare with the sober reality of conflict as depicted so honestly in The Battle of the Somme, and War Brides is strongest where it shows war’s consequences. War Brides naturally speaks to the distaff side of the audience. It understands the suffering that war causes. Unlike some other films of pacifist intent, it successfully blends an idealised situation in a mythical land with the realities of home life and individual lives caught up in war’s inhuman machinery. It has touched a chord with audiences who may have found the melodrama or religiosity of Intolerance and Civilization unconvincing. Some states in America have banned the film because of its apparent pacifism, but we hear rumours that were America to join the war then the producers would find it is easy enough, with a judicious explanatory title or two, to make the film seem to promote the Allied point of view, a film not against war but against one side of the war. Thus do we see how powerful, and then how weak, the cinema can be. To accompany our main film, we are showing Kiddies in the Ruins (UK 1918), George Pearson’s poignant portrait of the plight of French children in war-time. Pearson is an old friend of the Bioscope Festival of Lost Films, his work having appeared in last year’s festival. Here, inspired by a music hall sketch based on cartoons by that eminent French cartoonist Francisque Poulbot, he has shown us the lives and dreams of urchins in a bomb-shattered French city (enterprisingly filmed at Courneuve, near Paris). This touching three-reeler, starring Hugh E. Wright, may lack a little in narrative, but in sensibility alone it is a fine accompaniment to our main feature. We have seen the wretchedness of war, and yet the hopes that may arise even out of the ruins it has created. Do join us again tomorrow night, when we will moving to the Soho district, and seeing a film of true mystery and daring, not only its in subject matter but in the extraordinary circumstances surrounding its production. What a fabulous film, one of my top “lost films I’d love to see.” In honor of Nazimova, I wore my sparkly ping-pong ball hat, which added a certain piquancy to the “Ladies, Please Remove Your Hats” sign. And now, for a revivifying cocktail and an animated discussion with several like-minded festival attendees. Luke: What a good choice. I read about this movie and felt it would be one to see. I admire the courage of the exhibitor to present such a pacifist work in a country at war. I had not heard of “Kiddies in the Ruins”, but it was another good choice. I think for a lost film to be of value is has to be more than lost. It has to be a film whose rediscovery would change the way we see things. A film such as Bardelys the Magnificent, fine as it is that it has been rediscovered, changes nothing. It’s a piece of fun. War Brides would reset the balance of how we look upon the dramatic film record of the war. Probably its historionics, on and away from the battlefield, would come across as a little too much for modern audiences, but one would hope for Nazimova to hold it all together. By the way, apologies to anyone coming to the blog who finds the right-hand column has disappeared. It hasn’t – it’s at the bottom of the screen, and I’ve no idea why. It may have something to do with the War Brides post, but I’m at a loss how to remedy it. I’m wandering into this shindig a bit late, but definitely wanted to congratulate you on a fabulous opening program–This is one of my all time favorite lost films as well. 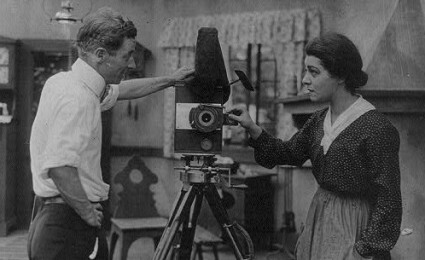 Nazimova and Richard Barthelmess and a pacifist theme! Definitely my kind of movie. And, Fred, you looked smashing in the ping-pong ball hat. How did you like my little Poiret trouser ensemble with the turban? can i get the biography of marion craig wenthwort?? i need it. pliz replay this message soon.